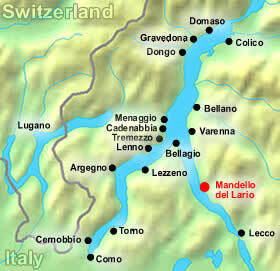 Here’s where we are (red dot)…Watch the Mandello Del Lario Italy Video ! 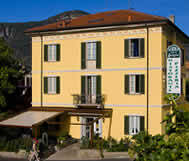 Mandello del Lario hotels, located 7km from Lecco Italy are ideal for both business and tourist travelers. 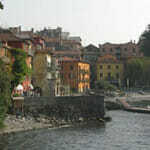 Whether you are there to check out Mandello del Lario’s booming industry or the famous Moto Guzzi museum, you will feel the warmth and hospitality of Lake Como hotels. 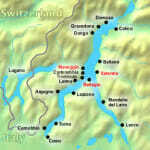 Here is a list of hotels in Mandello Del Lario Italy arranged by popularity. Location: Right on the lake with a private beach. Description: Beautiful wooded surroundings. All rooms with a lake view have private bathrooms, satellite TV and balconies. There is a swimming pool on the premises. No Online Booking Available. 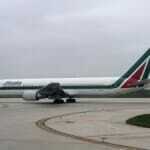 Call +39 0341 581373 to check rates/availability. 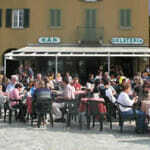 Location: Close to the Mandello del Lario’s train station on the main road Via Statale. 5 minute walk to the lake. 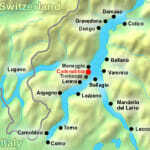 Description: Has been an excellent location for Lake Como commuters for over a century due to its proximity to Mandello del Lario’s central train station. Rooms are clean, tidy and sound-proof. No Online Booking Available. Call +39 0341 731105 to check rates/availability. 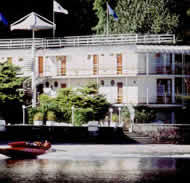 Mandello Del Lario Italy also has a few 1 star and 2 star hotels to suit the needs of budget travelers looking for very basic rooms and amenities. English may not be spoken at many of these places. Piani Resinelli is the name of the small alpine town located on top of the mountain above Mandello Del Lario (18 km drive from Lecco).